Microsoft (s MSFT) is interested in rolling out a new subscription video service, which would launch on Xbox Live later this year, The Daily reported late last week. The appearance of a new subscription service could pit it against existing services like Netflix (s NFLX) and Hulu Plus, as Microsoft seeks to grab more revenues from a newly redesigned Xbox Live service. This isn’t the first time we’ve heard that Microsoft is interested in creating a new video service for Xbox users: The software giant has been rumored to be working on its own subscription video offering for more than a year. But many of those rumors revolved around Microsoft trying to convince content companies to be part of a live video offering that could be seen as a competitor to more-traditional cable services. This time around, it seems more likely that any subscription service it rolls out would be a video-on-demand (VOD) offering similar to Netflix or Amazon Prime Instant Videos. (s AMZN) While it would still offer its Zune-branded VOD service for movie rentals, a subscription offering could give users access to more content for a low monthly or annual fee. While Microsoft has a large installed base of Xbox Live subscribers, it is unlikely that any new service will usurp Netflix, at least in the short term. Users will probably use a combination of services for video viewing, something that a redesigned Xbox Live user interface will cater to later this year. 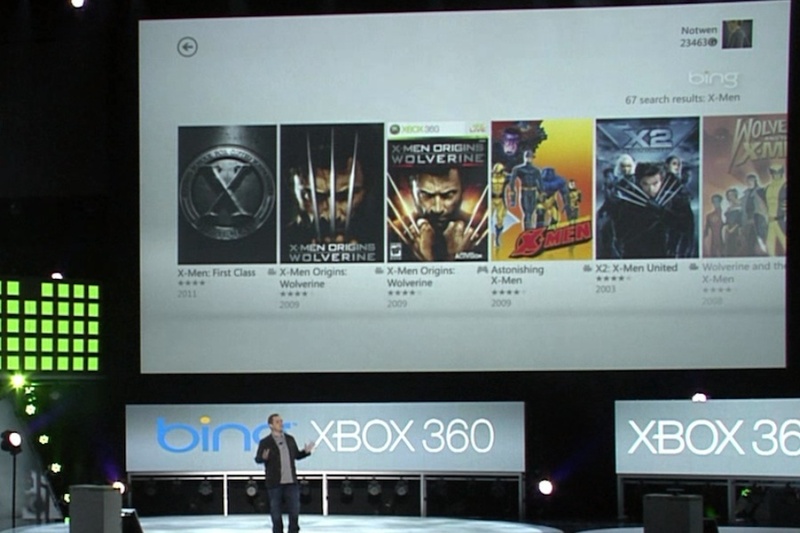 The new Xbox Live UI will combine voice recognition with a universal search functionality that will enable users to find content across a variety of applications, including live TV, cable VOD, subscription services like Netflix and Hulu, and of course its own Zune Marketplace. By updating the UI, Microsoft will enable viewers to watch the content they want on whichever service is best for them. That said, Microsoft needs to think beyond just the Xbox if it hopes to get mass adoption. While the big draw to a new service would be watching those movies on an Xbox connected to the TV, its success would depend on Microsoft’s ability to extend beyond just watching movies in the living room and having them available on other devices as well. Netflix has become successful mainly through its relative ubiquity across a wide range of connected TVs, Blu-ray players, streaming set-top boxes and mobile devices — a strategy that Hulu and others are trying to follow. Any new service will need to be available not just on Microsoft devices like Windows Phone 7 mobile devices and Windows PCs but also anywhere a subscriber wants to view its content. This is a dawning of the second age of Microsoft – M2. M2 is short for Me Too – instead of leading the pack, Microsoft is now playing catch up on every technology platform and service. It’s time to put this old dog to sleep and get some new direction and leadership. The most important thing with a subscription VOD service is that you have some kind of queue or favorites list. There needs to be a way to cull the content that is of interest to you and save it for viewing later. How about personalization? Would it be just as good to have a recommendation engine that lets you know what you’ll want to watch?